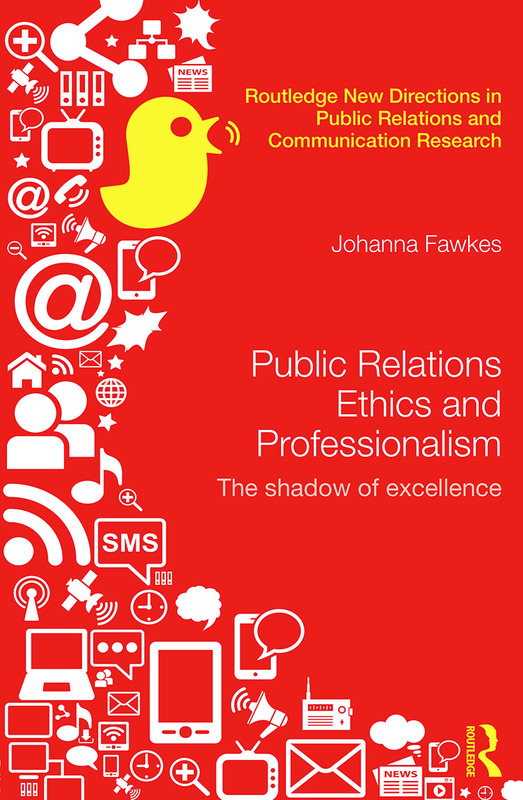 I’m very touched by the generous and thoughtful responses to my book from the range of international professors of communication who have endorsed my forthcoming book (due out in July). Makes me feel like I’ve written the book I wanted to write. This article suggests that public relations’ inadequate engagement with the complexities of ethical theory has contributed to public loss of trust in its activities. Instead of blaming this on publics, communicators could take more responsibility for their professional ethics. The author suggests that a hermeneutic approach to ethics opens up a new area for debate in the field. Public relations ethics have traditionally drawn on the major approaches of deontology (Kant) and consequentialism (Bentham and Mill), with marginal reference to the more recent revival of Aristotelian virtue ethics (MacIntyre, 1984), an approach that shifts attention from ethical action to ethical agent. Thus discussion of ethics in public relations literature (Fitzpatrick and Bronstein, 2006; S. A. Bowen, 2007; McElreath, 1996) concentrates on rational approaches to ethical decision making, based (respectively) in marketplace theory, Kantian approaches or systems theory. In these and other writings, there is an emphasis, as is common in approaches to professional ethics, on external rule-based ethics rather than attempts to focus on inner processes to assess ethical implications of practice. This article argues that as concepts of professionalism shift and buckle under global economic and social pressures, it might be timely to look less to systems and more to human experience for ethical guidance. A hermeneutic approach, drawing on the philosophy of interpretation developed in recent decades by thinkers such as Gadamer, Habermas and Riceour, offers an alternative, inner, path to an ethics drawn from the search for shared meaning. The article starts with a brief overview of the current state of public relations ethics, suggesting a reliance on somewhat superficial codes for guidance and the absence of reflexivity in ethical debates; it then introduces concepts from hermeneutics and its main schools or approaches, with a particular focus on hermeneutic ethics. Finally, the article links the two topics to show how ‘strong’ hermeneutic ethics might contribute to greater reflexivity in public relations ethics. It aims to shift the ethical debate away from notional reliance on codes and external guidance towards a deeper ethic. The approach taken is broadly critical (Hall, 1980; Heath, 1992) and is itself interpretative, making the article doubly-hermeneutic (Giddens, 1984) in both form and content. More online and offline papers due shortly – the introductory article (with Kevin Moloney) to a special issue of PRISM on PR and power; and a piece on competing identities in PR ethics in Public Relations Review, details to follow.